Most of the online money making methods need a lot of hard work and investment that would make the people get frustrated. Blogging, designing, testing and advertising are some of the emerging online jobs where you can earn an enormous income for your interest and talent. If you’re not interested in doing these traditional jobs online, it is more likely to make money with your hobbies. But here, you need to show your smartness and spend quality time to earn decent cash online. So, if you feel tired of boring regular jobs, you may try some fresh ways to make extra money on the web with more enjoyment. You might ask, is it possible to earn money online in fun ways? 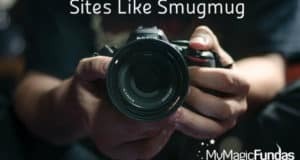 I would say, “Yes, probably you could meet some monetary benefits on the internet through some amusing ways.” Let’s discuss a few fun ways to make money online through this post. Check some of the funny ways to make money online at spare time. You may not believe if I say that the custom tattoo drawing is a profitable profession. If you’re a person with a creative eye and have excellent drawing skill, you may try to sketch well-defined tattoo designs and set a sale price for them. Createmytattoo is a perfect marketplace to submit your original Tattoo designs and make money with them. This community dedicated open market is free to join and take part in contests. You may submit many designs and get paid every time your tattoo design is sold. If you’re more serious to make money as a Tattoo designer, make use of Tattoodo and get paid for creating unique artwork. Here, you could polish your tattoo drawing skills, grow your portfolio, get fans and earn money with custom tattoos. Taking part in naming contents is one of the humorous ways of making money online. If you want to pour your creative juice from your mind in suggesting memorable names or slogans, you can make some dough online. Pickydomains is one such website where you can turn naming ideas into cash. The registration is free & instant in this risk-free naming service, and you could earn 40-60% commission for every successful name proposal you make. Payments will be made through PayPal. If you’re paying attention to take part in naming contests, and then go with Squadhelp to check the active contest status on Naming & Branding. Here you can make money with fun by suggesting slogans, the name for apps, domain names, social networking name ideas and brand name for new companies. US residents can earn money by taking part in business name contests through NamingForce by naming companies and products. If you’ve interesting stories to tell, it’s easy to earn online currency. Many magazines and newspapers are interested to publish real stories, and you may reach them through individual websites or media agents who deal with the press. Be realistic while telling your story and do not forget to attach the proof & brief summary of the story. Yourstoryclub allows you to write short stories for money. You can win the best writer & story of the month award here, and few stories are rewarded with editor’s choice. You may write any category of story or poem in English or Hindi, and if your stuff got selected, the payment would be made within 20 working days. You may also check Sellusyourstory to make money with stories. It is the UK’s largest press agency, and it pays the most for stories & other content. To sell your interesting stories, you just need to fill out the form, and they will get back to you with the value of your story. If you’re a UK occupant, you may try the site Cashforstories to earn with your stories. I’m in no doubt that you will adore this fun way to earn money on the net. Yes, there are several websites that would let you get paid to shop online. Who else not interested in online shopping? The e-commerce trend has taken off some years back, and it leads to cash back offers. Ebates is the best site that pays you to shop online. It gives money back for you to purchase at any of the 1,800 online stores with huge discounts as it is a leader of online cash back shopping. Make money by online shopping is also possible with another cash back shopping website, Mr. Rebates. You may shop at thousands of cash back stores, and you’ll earn up to 30% cashback on each product purchase. Joining is free here, and you may cash out through check or PayPal. Get paid to shop online through Quidco is also a hilarious money earning method. You can search the exciting offers from more than 4200 retailers, and you’ll get cash reward with every purchase. You might be wondering about a way of earning online through search! Yea, its “Get paid to search online”. Some websites work as a partnership with top search engines that pay you for searching the web. You’ll not make a living with paid searches, but it is one of the fun ways to make money on the internet. Qmee offers cash rewards for search loyalty since it works with best search engines like Google, Amazon, Ebay, Best Buy and so on. Just you have to search online and check the Qmee results to earn rewards, and you can cash out through PayPal. To make money with fun, do check some reliable pay-to-search sites like Bing, Scour, and iRazoo. This post has been written with an intent to give some helpful ideas to make money online, and I (Nirmala Santhakumar) cannot in any way promise the success of earning online cash with the listed ideas and websites. Everyone wants to earn money! As the internet has opened up a lot of opportunities to make a substantial income, you may carry out the computer-based jobs to use your skills and creativity to take home some cash from the web. To chill out after a hectic day job, you may attempt some of the above listed funny ways to earn money at home. So, you don’t have to get bothered or spend long hours on these cool ways to get extra money online. Don’t think that you’re going to be rich with these pioneering earning methods but I’m sure that you’ll get more pleasurable experience to grab some online cash. What is your viewpoint on these fun ways to make money online? Do you know any other pleasurable idea of getting online cash? Share your breathtaking feedback in comment section. 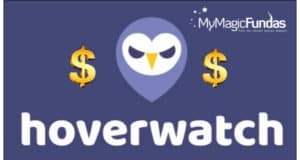 How To Make Money For Students Using Hoverwatch? Excellent post and detailed information with simple words from top to bottom about 5 fun ways to make money online.It is very useful for me. I have one doubt through the online shopping how we make money it point not understand me. Thanks for checking my post and glad it is useful to you. I’ve listed some websites which have been linked to thousands of famous online stores to give cash back for your every purchase. So, whenever you buy your preferred product online through these sites, you’ll get some money back for sure. Thus, I listed this way of making cash as funny method of online earning. Your money making ideas are always worth reading. This is again a great post by you. People can easily start making money with these methods. As per my understanding, shopping online and getting cash back is not making money online. It’s saving some money. What do you say about it? I always try to provide the details of some honest money making methods with some relevant (useful) websites for my beloved readers. Your point of view is exact with online shopping. 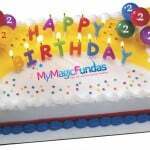 But I’ve listed some sites specifically to get huge cash back offers at every product purchase. These websites are linked to thousands of popular online stores and thus you’ll get some real money while buying the products through them. Thanks for your kind words, stay tuned! Looks to be great ideas to make money while having fun. Search online and make money is something new to me. Nice write up with fun ideas! Nice combination! I’m happy with your arrival Atish, thanks! I aware of a vast money making ways on the web and I just brainstormed & consolidated the ideas that make us to get fun while earning cash with them. Not only these, more online cash making methods are yet to come for my loyal readers. Your appreciation made me to blog with confidence, keep supporting me through your comment and share. I am amazed! these tips are really so fun filled and sure shot way to earn. I specially liked the tattoo part. There are 100s of young girls in our country who are extremely talented in tattoo making or “mehendi” art work. They can make a great career and a name for themselves using these tips. Thanks for sharing your views here. Yeah, both tattoo designing and taking part in naming contests are genuine ways to earn money with enjoyment. WOW Been an year but not earned more than a couple of dollar in my adsense. But this really seems to be worth. I love to write stories and names but if had known about this earlier till now i would have made handful of dollars. Its sad to hear that you’re making very less income with Adsense. After reading your comment, I immediately landed on your blog and checked the reasons for not making money. First you should have an impressive theme without distraction. 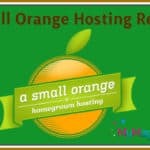 Blog more often and connect with fellow bloggers. Write attractive posts to grab more eyeballs and do guest blogging. Networking with influential bloggers matters a lot and thus keep in touch with some experts by visiting to their blog & share their blog posts. Out of all, every blog post should be presented with perfect SEO to drive organic traffic. Good to know you would like to write stories and interest to tell some exciting names. All the best to try with these ways to earn online income, do share your experience after start making money with these amusing methods. You have covered the ground nicely Nirmala. Domain name suggestion is the best among your list. I tried it once with unexpected success. I would certainly not look in the direction of getting paid to shop as they are not genuine money makers. This also applies to t’get paid to search’. Good to know your success with naming the domains. The online shopping websites look genuine in cash backing offers and thus I listed in this post. I didn’t tried them and so made a Disclaimer. Thanks for finding time to read my post and glad you it would help you in some way. Stay tuned to grab more information. When I saw the headline I was just fan of the idea but now after reading the post I am much impressed by the valuable resources you shared here. Sharing more and more money making opportunities to struggling bloggers is a great service and you are widely known for this. Name contents and sell the story are two superb ways to earn money while enjoying. Rest of the others equally have their own value. Just a little creativity is required for that purpose. Thanks a lot for sharing this useful resource. Thanks for your praising words and it inspires me to bring few more helpful resources. Good to know your views on funny ideas of online earning and yes, everyone likes the name and story telling way of making money. Good to know that you’re my regular reader Sanjay. Your interest in checking my post is really appreciated, thanks! All your ideas are good to follow especially home-makers. Will try this in future. Thanks much Devi for getting interest to read my post and adding your feedback as well. Keep visiting here to get more money making data. You listed some unique and funny ways to make money. Shame that Qmee works just for people living in U.S.
That could be a funny way to earn some cash too, making researches online. Thanks for sharing this unique post, Nirmala. Yeah, these ways would let the people to make cash with more enjoyment. I’ve added a good source to earn with Tattoos and yes, you may suggest your tattooer to visit the listed websites to make some dough at spare time. I too feel bad with Qmee, it seems a good site to earn through search. This is an awesome post Nirmala. Many of us keep looking for ways to make money online or offline. The best thing about some of the online jobs is that one doesn’t require any qualification or skills which are hard to learn. In this post you have mentioned some unique ways of making money and doing such things to make money can bring lot of fun. Tattoo making and sharing stories are the two ways which can bring lot of money as well as lot of fun. I know one of my friends who has done engineering, but at the same time he conducts tattoo workshops in colleges. 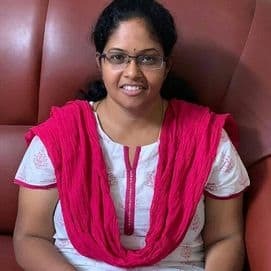 Nirmala this post of yours is definitely going to be useful for students as well as those who are looking to make extra income by going for some easy ways to make money. Thanks much for your constant support and appreciation through comment. Every online job needs some skill to make money and these are the ways to earn with fun. Even story telling and tattoo designing needs talent and interest. Surely, thee are so many ways to make money online. One can easily turn his passion to earning is properly channeled online. The funny ways discussed here are welcoming. They are also revealing in the sense that I never know there is a site or platform where one can actually make money from selling designed tattoo! In addition, while it is important to learn of these ways, to make money from them actually require learning and applying the art of marketing the skills! I have shared this comment in kingged.com where I found this post! Thanks for checking my post and am really glad that you came to know the method of earning through Tattoo designing. I agree with your view in marketing the skills, it is indeed needed for every person who wanna make a steady online income. I didn’t know any of these existed. It is very true that you can earn money through just about anything via the internet! This is great and will open the doors for people looking to make more cash that will supplement their current income. To top it off, the ideas that you mentioned are pretty simple to do and yet can be fun! Thanks for the share! Have a great weekend! Thanks for leaving your views and glad that you came to know some online earning methods through my post. Yes, these ways would let us to have fun while earning. Thanks for reading my post and leaving your feedback! Of all the posts on making money that I have read online, this was the most interesting one. I never knew that you could make money by designing tattoos and making name proposals! Thanks to you, we have 5 new things to explore now. Very nice post, thanks for sharing and you have a very relaxed Sunday. Good to know that you liked my post and learned some new money making ways. These are really fun ways for those who wish to earn online! Yes, I had heard about the Tattoos and story writing sites, but the others sound interesting too. Need to check them out, which I will soon after I end up here. You know making money was other than writing was never on the scene for me, but these sound worth trying. Thanks for sharing your experience on earning money online and great that you’re making income only through writing. Even I too, but I’ve tried some honest ways to earn money other than writing. Yes, These are really fun ways to earn money online, i didn’t know most of them, tattoo design, paid search,Name contest. I think paid search is useful to bloggers also to get an extra income, i will try this one to earn some money. I think you did best research to find out these fun ways to earn money,i hope this will be very helpful to all bloggers, thanks for sharing this information. Sorry for replying late and thanks for including your comment. I’m still in shock that some of these exist! 2. Take Part in Name Contests?? Paid to name? Yes, you will be getting paid to suggest some attractive names through the websites which I’ve mentioned in the post. Great post Mam! You really posted a great article and it will help most of the people who want to earn on the internet. Your information is very helpful.Thanks! You mentioned really some of the ‘fun’ and innovative ways to make money online, some of which I didn’t even knew like getting paid for searching. You have comprised a great list of fun and creative ways to make money. Really I find this post very creative. Selling stories and Drawing tattoos are really worth it. Making money from anywhere needs an efforts. No one can earn money, without putting any efforts but earning money using the way you have mentioned here is really a fun. With these ways, one can make money with fun and without putting much efforts. I appreciate your prompt visit, thanks for leaving your viewpoint. Really some fun and awesome process you share here. I never think anyone can make money by searching online. Good to see you on my blog Hamim, thanks for finding time to leave your views and share this post on Google Plus as well. Asuming the making money is a easy many internet users are faling in to the traps fo fraoudsters and are getting scamed. Glad that you came up with post like this to make people aware about the genuine ways through which people can make money online. Very interesting post. Everyone can start making many with these ways especially home makers. Thanks for posting this wonderful information. These are some really great ways to make money online, especially if you like doing these things. These are some things I have never heard of before, like drawing tattoos, and taking part in naming contests. What would interest me the most is the selling your stories for money. I love to tell stories and have some very interesting stories to tell. That would be a great way for me to make some extra money. I can also share some of these tips with a friend of mine. Great post! This is an informative article. I love it. Getting money to do something fun, it sounds very enjoyable. I know some of this, but not to find out more. I just know about it. Thanks for sharing this with us, Nirmala. Hope you are having an awesome week ahead! Thanks for checking the post Ahmad, good to know that you’re making money with blogging and AM. Keep your good work, stay tuned!